Even before arriving on campus, Adrian Nuñez reached out to a friend involved in Student Government at the University of Miami, asking how to get involved. “It was one of those things that, coming into college, I knew that I wanted to do already,” said Nuñez, who was involved in Student Government and president of his senior class at Coral Reef Senior High School in Miami. 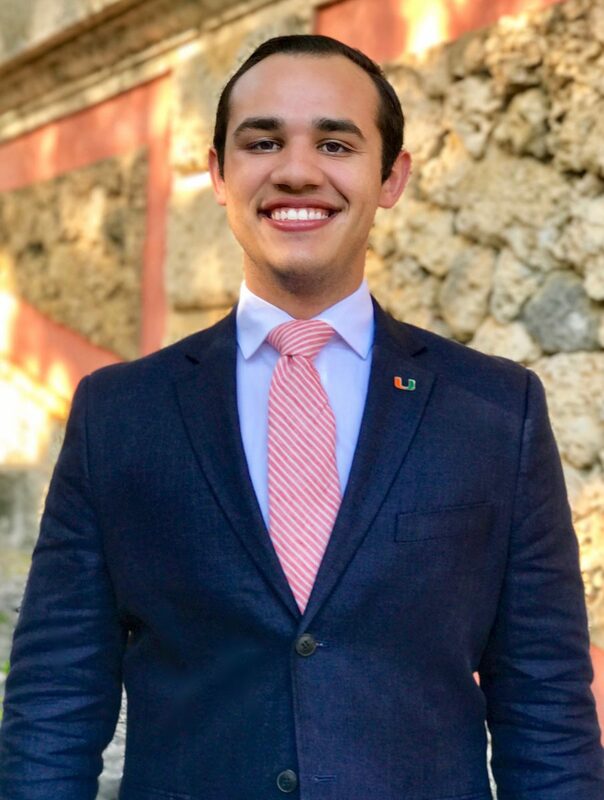 Nuñez started his work with UM’s Student Government on the Freshman Leadership Council, then the Senate. He leaves his alma mater as the outgoing SG president. “It’s been really interesting to see what the administrative side of our university looks like and getting to form some relationships with them,” Nuñez said. Hurricane Irma presented an unexpected and difficult task for the SG president. However, Nuñez said he was committed to keeping students informed and the campus resilient. A commuter student all four years at UM, Nuñez said getting involved on campus – especially in leadership roles – forced him to learn how to plan his day. But the pros of “going home to family, living in my own room and eating home-cooked meals” outweighed the “cons of the commute” – including South Florida’s grueling rush hour. Although Nuñez said he is excited to graduate, leaving his favorite place won’t be easy. That’s why he’s considering returning to UM for a master’s degree in public administration. “If I come back, there’s a whole other year for change and progress,” Nuñez said.